Wednesday, September 26th marks the return of Panini America’s fabled National Treasures Baseball brand, the content-rich juggernaut that annually delivers some of the most desirable single cards of the baseball season. 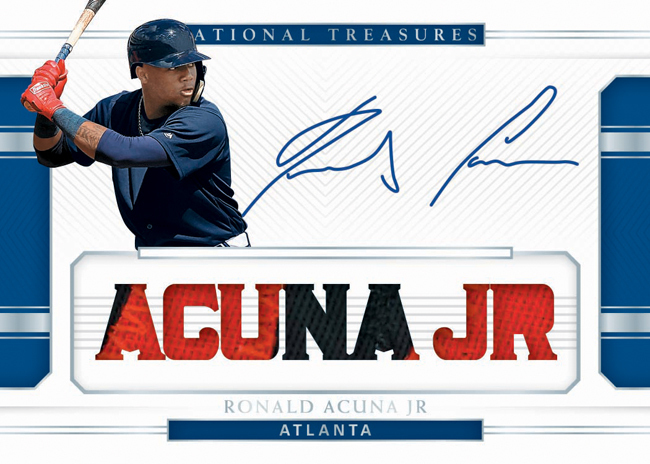 2018 National Treasures Baseball is more than ready to live up to already-heightened expectations with hobby boxes (eight cards per box, four boxes per case) that deliver, on average, eight autograph or memorabilia cards including one booklet. The short list of spectacular inclusions in this year’s release includes Legendary Lineups Booklets (featuring nine historic memorabilia pieces per booklet), memorabilia cards featuring cleats, bat nameplates, jersey ID tags and more) and a must-see Cut Signature Booklet featuring Babe Ruth and Lou Gehrig. 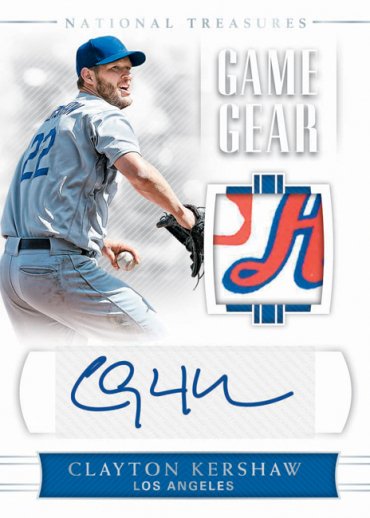 Also look for Quad Signatures, Six Signatures, Franchise Lineups and New York Row booklets. 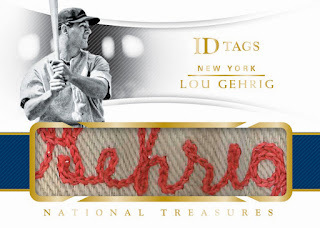 Additional highlights of 2018 National Treasures Baseball are many and include . . .
Live and on-card, Shohei Ohtani autographs will be available in Rookie Material Signatures, Player’s Collection Signatures, Rookie Triple Material Ink, Hometown Heroes, Rookie Signatures, Retro Signatures, Treasured Signatures, Rookie Signature Jumbo Material Booklets and NT Signature Booklets. 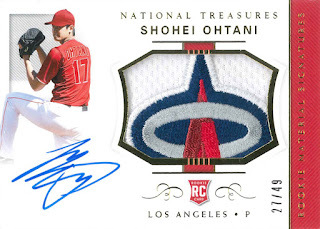 Rookie Materials Signatures features the most comprehensive list of on-card autographs for this year’s rookies including Ohtani, Ozzie Albies, Austin Hays, Amed Rosario, Miguel Andujar, Rhys Hoskins, Gleyber Torres, Juan Soto, Ronald Acuna Jr. and more. New material for memorabilia cards including cleats, ID Tags from legends and Remarkable Rarities from baseball and history. 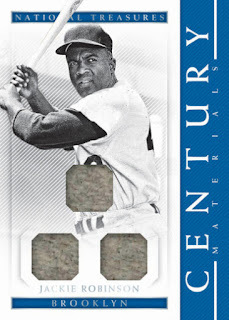 New inserts including Game Gear, Colossal Rookie Materials, Hall of Fame Materials, Game Gear Signatures, Stars and Stripes Autographs, Signature Names, Century Materials, Hall of Fame Signatures, Century Materials Signatures and more.